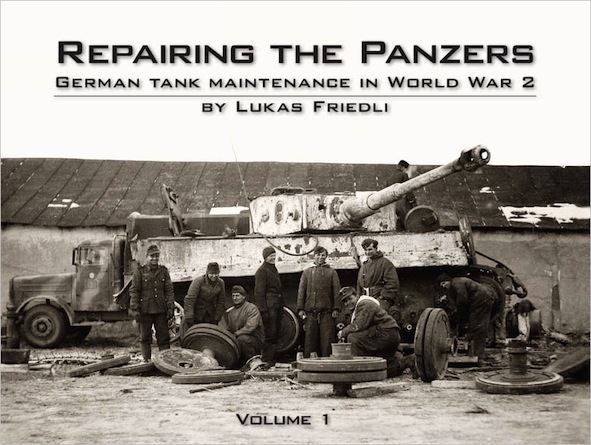 Panzerwrecks is pleased to announce their first hardcover book, 'Repairing the Panzers Vol.1,' by Lukas Friedli. How did Germany keep its infamous Panzers running throughout six years of war? How did the German army prepare for motorized warfare? What mechanic was competent for what kind of damage? What special vehicles and recovery equipment were used by the maintenance units? How were they organized? How much supply reached the front during Operation 'Zitadelle' and how was it distributed among the battered divisions? The answers to these and other questions are to be found here in this book. Based solely on original experience reports, diaries and manuals, you will learn how Panzers were recovered from various predicaments and what really put Panzers out of action. For the first time ever you will get an inside look at the battle that went on behind the front lines to keep every Panzer possible in fighting condition. While the Lukas’ first German book ‘Die Panzer-Instandsetzung der Wehrmacht‘ was based largely on secondary sources, POW interrogations and veteran memories, Repairing the Panzers (RtP) is based solely on primary source documents found in the Military Archives in Freiburg and the National Archives and Record Administration in Washington D.C.
Panzerwrecks are proud to present these new discoveries in a massive 256 page tome illustrated with 291 large format photos, most unpublished and reproduced full-page size, plus 17 drawings, 5 diagrams, 19 tables and 17 K.St.Ns. Lukas Friedli is an attorney and a former Swiss Leopard II tank gunner who lives in Switzerland. He writes about military history and copyright law. He studied at the University of Berne and Northwestern Law School, Chicago. After his acclaimed first book 'Die Panzer-Instandsetzung der Wehrmacht' in 2005, Lukas continued his research on the subject under the mentorship of Thomas L. Jentz. Years of research later, primarily in the Military Archives in Freiburg and the National Archives and Record Administration in Washington D.C., Lukas presents his latest findings in two volumes.